What's up with Russia and emo music? Legislators decry a "spiritual, ethical crisis"
You'd think all that vodka would have the folks in Russia feeling just fine. Instead, people are experiencing the blues. Or people think they're feeling the blues. Something is going on - and Russian lawmakers are blaming it on guys wearing eyeliner and black nail polish - in other words, emo music. Legislation is currently being formulated in Russia to heavily regulate emo websites and ban emo and goth dress style in schools and government buildings. 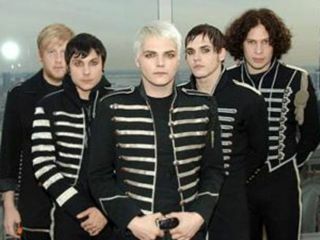 The music of bands such as My Chemical Romance and their Russian equivalents is being blamed in the State Duma for a "spiritual and ethical crisis" among Russian youth - depression, "anti-social behavior" and apparently, the "glorification of suicide." "This is the first step in the public discourse," said Alexander Grishunin, an adviser to the lawmaker who is sponsoring the bill. "Expressing psychological emotions is not forbidden by law," fumed Dmitry Gilevich, drummer for the Russian emo band MAIO. Well, not yet anyhow. We at MusicRadar say, more eyeliner, more black nail polish and definitely more vodka!